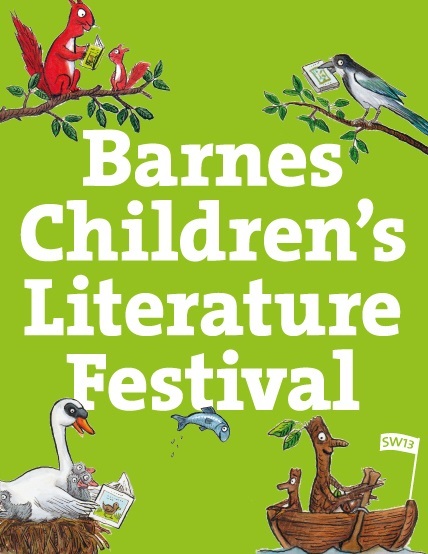 London’s largest dedicated children’s literature festival will be returning to south west London for the third year, on Saturday 13th and Sunday 14th May. The programme includes sixty events for children of all ages, including author talks, workshops, story time and craft sessions, music, film and much more. There is an exciting mix of bestselling authors and illustrators, up and coming new writers, and household names. Highlights include the former Children's Laureates Michael Rosen and Anthony Browne, star author-artist Nick Sharratt and Horrid Henry creator Francesca Simon. They'll be joined by a few famous faces including comedians David Baddiel and Adrian Edmondson, popular television presenters Clare Balding and Lucy Worsley, and radio personality Christian O’Connell. Other authors and illustrators on the programme include Ed Vere, MG Leonard, Michelle Robinson, Lisa Stickley, Sophy Henn and Book Trust Illustrator in Residence, Sarah MacIntyre. Special events this year include illustrator, Axel Scheffler appearing alongside Barnes Resident and Mog creator, Judith Kerr in an event called When Zog met Mog – not to be missed! Another exclusive is an interview with Little Princess creator and top illustrator, Tony Ross. You can also experience the interactive Harry Potter show, a new production of Roald Dahl’s Revolting Rhymes set to live music, and an exclusive screening of the short animation based on Jon Klassen’s award-winning I Want My Hat Back. 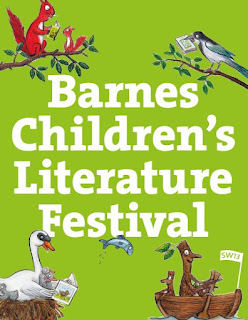 Tickets are on sale now at: http://www.barneskidslitfest.org/ where the full programme can be found. This World Book Day, Inclusive Minds urges everyone to help support real change and ensure authentic inclusion in children’s books. An innovative crowdfunding project will give a voice to children and young people – the people who know most about what they want to see represented in books and how. It will enable them to share valuable experience with those who would like help ensuring authenticity. Where real inclusion in books is concerned, thorough research is vital. Inclusive Minds will develop an extensive network of Ambassadors for Inclusion. These are young people of all ages with real experience of marginalisation who can share their unique expertise (covering all facets of diversity) with the book world. Authors, illustrators and publishers will be able to contact Inclusive Minds with ideas, questions or manuscripts that they wish to discuss with relevant young people. These opportunities will be shared with the network and connections established. Ambassadors may also be available to speak at events and in response to news stories. Opportunity for young people This groundbreaking project will offer many benefits to those who join the network of ambassadors. It will empower young people, giving them a powerful role and a real voice in changing the face of children's books. The opportunity will also represent valuable work experience that may lead to references and further work. £4,000 will fund Inclusive Minds in expanding the pilot project by recruiting young people (up to the age of 30) from an extremely diverse range of backgrounds and cover the administration and promotion of the network for two years. The funding will enable the basic network service to be free of charge, but should relationships develop or lead to more official consultation or sensitivity reading, the network user and ambassador would be expected to introduce and agree fees. Inclusive Minds urge everyone who believes in the need for inclusion and equality in books to support the campaign on Indiegogo. Contributors have access to an exciting menu of ‘perks’ in return for their donations big and small. Perks range from high fives and thank you messages to character names and original book artwork. Absolutely anyone can contribute, giving whatever they can. Even £5 will help towards realisation of the project. Anyone who might be willing to donate a perk, is also encouraged to contact Inclusive Minds. By all of us coming together in this way, Inclusive Minds is confident we will create a unique resource that can truly help change the face of children’s books. To help Inclusive Minds realise the project (or just to find out more), visit https://igg.me/at/youngambassadors. Inclusive Minds supports the children’s book world, working closely with writers, illustrators, publishers and families to ensure children’s books reflect the diverse society in which we live. Inclusive Minds believes books need to be aware of diversity in all its forms, including issues relating to culture, gender, disability, age, sexual identity, family structure and socio-economic background. Crowdfunding is the practice of realising a project by raising contributions from a large number of people in return for perks. Inclusive Minds invites people, through donations large or small, to join them in achieving something very special. 12 teachers nominated from the 55 involved in the shortlisting, who came from Aberdeen City, North Ayrshire, Dundee, Edinburgh, East Lothian, Falkirk and Renfrewshire, will now form the final judging panel and have the challenging task of reading all the shortlisted books in all three age categories, which will mean nursery teachers reading fiction for teenagers and secondary teachers reading picturebooks! Sponsors Micro Librarian Systems have over 25 years experience developing high specification library systems for schools and colleges and provide library automation solutions to over 15,000 schools worldwide. They provide cost effective and user friendly library systems which will revolutionise the way the library works, support the curriculum and encourage reading for pleasure and purpose. The longlist for the 2017 Klaus Flugge Prize is announced today (Wednesday 8 March 2017). Established in 2016, the Klaus Flugge Prize is awarded to the most promising and exciting newcomer to children’s book illustration. It honours publisher Klaus Flugge, founder of children’s publisher Andersen Press and a supremely influential figure in picture books. Fifteen books by debut picture book illustrators have made the longlist. Walker Books and Nosy Crow have two each, while tiny independent Graffeg and new imprint Two Hoots are also represented. In total 13 publishers are represented, and illustrators from the UK and overseas. The judges for the 2017 prize are Axel Scheffler, illustrator of The Gruffalo;Nicolette Jones, children’s books editor of the Sunday Times; Tamara Macfarlane, owner of Tales on Moon Lane children’s bookshop; and last year’s winner Nicholas John Frith. The panel will be chaired by Julia Eccleshare, director of the children’s programme of the Hay Festival. The shortlist will be announced on 17 May 2017 and the winner will be revealed in September 2017. Hull, which is UK City of Culture 2017, has today (Tuesday 28 February) been confirmed as the location for the announcement of the new Waterstones Children’s Laureate. The recipient of the honour will take over from the current Laureate, Chris Riddell, at an afternoon ceremony in Hull City Hall on Wednesday 7th June 2017. The role of Children’s Laureate is awarded once every two years to an eminent author or illustrator of children’s books to celebrate outstanding achievement in their field and to acknowledge their importance in creating the readers of tomorrow. Previous laureates include Quentin Blake, Jacqueline Wilson and Malorie Blackman. Rosie Millard, Chair of Hull UK City of Culture 2017 said: "Hull has a great literary heritage, which we are celebrating across the year and it is wonderful that it will host the announcement of the new Waterstones Children's Laureate during its year as UK City of Culture. Reading and literacy are a key part of our No Limits Learning programme and this is an opportunity to inspire a new generation of readers. It is also going to help build the anticipation of young people ahead of the city's first ever children's literature festival The Big Malarkey in July." At the ceremony, Chris Riddell will present the new Laureate with a specially commissioned solid silver Waterstones Children’s Laureate medal and a £15,000 bursary cheque. The post of Children’s Laureate was established in 1999. Previous Laureates are: Quentin Blake 1999 – 2001, Anne Fine 2001 – 2003, Michael Morpurgo 2003 – 2005, Jacqueline Wilson 2005 – 2007, Michael Rosen 2007 – 2009, Anthony Browne 2009 – 2011, Julia Donaldson 2011 – 2013, Malorie Blackman 2013 – 2015, the current Laureate is Chris Riddell 2015 – 2017. Waterstones is the lead sponsor of the Children’s Laureate post, with other sponsorship and funding coming from children’s publishers and Arts Council England. Children’s reading charity BookTrust continues to manage the award.